One of the first thing I get asked by parents who have just lost their child to suicide is ‘How will I survive? There is no easy answer to this question. No formula, no prescription, no set of rules. Each person has to find out for themselves. But the first thing I tell them is that they will survive, and more than that they can go on to have a good life. Of course they won’t believe this at first, how can they? But then I urge them to join the support group and talk to other parents who have faced the same nightmare and found ways to cope, survive and even thrive. I realised today that the most powerful thing to do is to search for what heals the soul. Even after four years I still find that it can be the simplest things that gives healing to the part of my soul where I feel the loss of Toby most deeply. 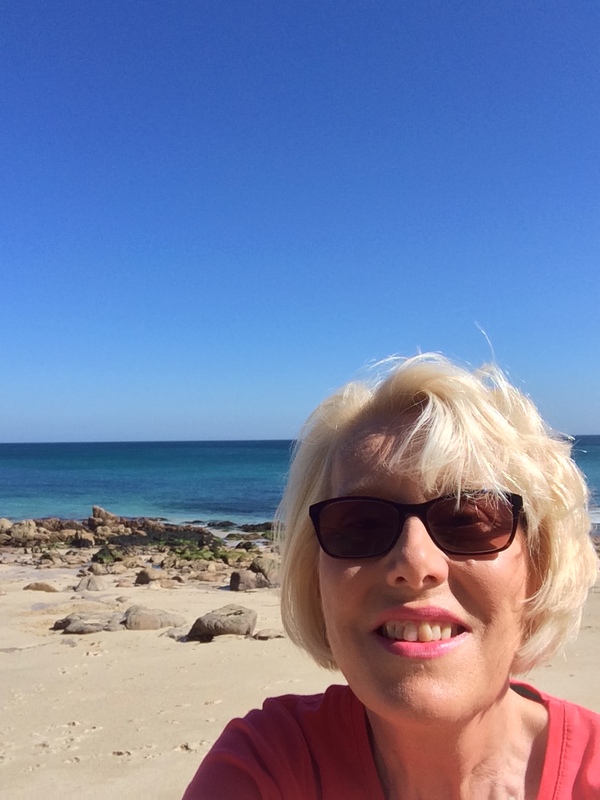 I am fortunate because I live in Cornwall which is a beautiful place, by the sea. I am on a break from my studies so I am free to go out and explore and enjoy the natural beauty of this breath-taking county. 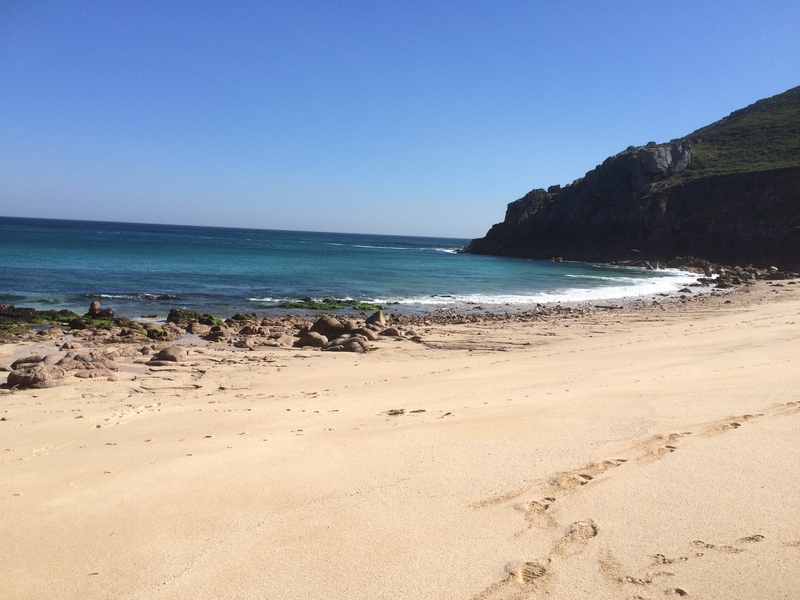 I have found a new beach which is dog friendly all year, and is a 15 minute drive then a 20 minute walk from my home. I pack my backpack with coffee, water, biscuits for me and biscuits for Elfie and leave home at 9 am. By just after 9.30 I am sitting on the beach which is usually deserted, looking out to sea, listening to the waves, feeling the breeze and watching Elfie playing on the beach. This morning I realised that this experience gives me a powerful healing energy which permeates through my body into the deepest recesses of my pain and loss and this is all I need. I just sit and drink in the experience; the beauty, the calmness, the sounds. I feel the warmth of a little dog’s body on my lap. I watch her digging in the sand, rolling on her back and romping around. I look far out to sea and just be in the power of now. I realise how grateful I am that I can experience this. 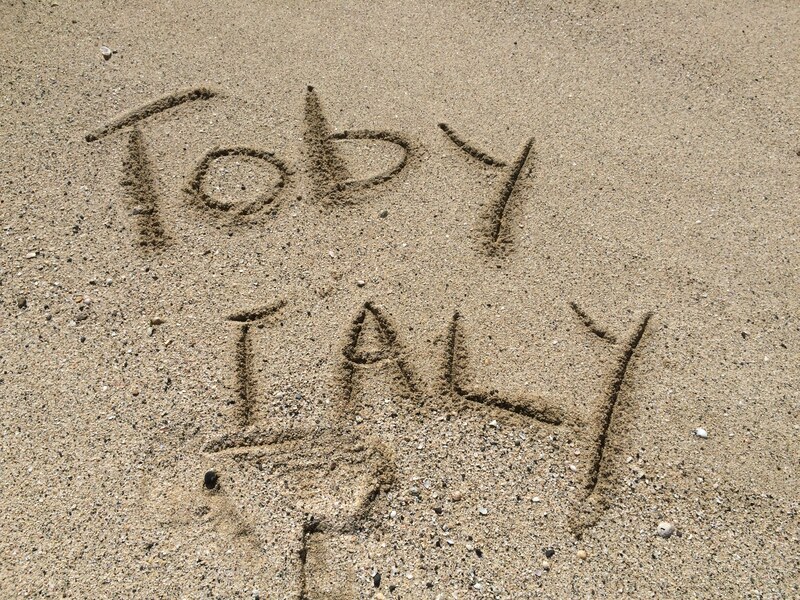 As I walked across the beach to my sitting spot, I wrote Toby’s name in the sand. As I sat looking out to sea a single white feather floated down in front of me and I picked it up and put it close to my heart. That’s quite lovely Anne. Where is the beach? I have friends who live on the opposite bank to Padstow, just above Rock. We take our dog there too. On Brea Hill is a bench in memory of “Harry Roberts , a Free Spirit.” I think this was a girl and she may have taken her own life too…. but I also like to think it is a memorial to my Harry as well. Your strength is inspirational, and I can feel your sorrow too in your bravest words. Thank you Ann, it is 4 years in December that I lost my beloved eldest son David. I wonder sometimes how I have survived but somehow you do. There are times when the horror of it all hits me like a thunderbolt and takes my breath away but there are also times now when I think of him and smile. He was an intelligent and complex soul and we shared the same simple stupid humour. Only the other day I was driving to work and saw something so, so funny to me and I immediately thought how funny David would have found it too, so much so I could physically hear him laughing with me in. The tears still come, even in moments like that but I have to believe as do you that these wonderful creative souls that we love and miss so much are now at peace and smiling down on us and willing us to carry on. My son ended his life 2 weeks ago. I don’t know how I am gonna go forward. I need all the advice and help I can get to survive. I buried my husband 15 years ago and now my 23 young old son.